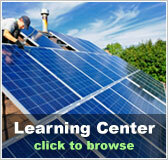 Facts about solar energy | Solar Panels | Solar Power | Site Map | Bookmark This Site! Facts about solar energy, wind energy, hydropower, and other renewable energy resources are of great interest today. Recent increases in gas prices are a main reason for this amplified fixation. However, the study of renewable energy options has been going on for far longer. Technological options for solar energy as a fossil fuel replacement were first explored in the 1860s. When it was realized that the earth’s supply of fossil fuels could last far longer than the people of that time had predicted, interest waned. The 1973 and 1979 oil crises reignited solar energy fascination, but falling oil prices in the early 1980s again cause a decline. Over the last ten years, the interest has again been rejuvenated due to concerns of global warming and oil supply. Here are some of the important facts about solar energy which we have learned during that history. •Solar energy reaches earth from the sun through its rays. •Energy from the sun comes in the forms of light and heat. •The term solar energy refers to the use of energy from the sun. •Solar power more specifically refers to the utilization of the sun’s energy for electricity. 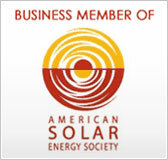 •Solar Energy is healthier for the environment than traditional forms of energy. 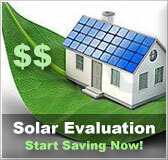 •Solar Energy is measured in kilowatt-hour. 1 kilowatt = 1000 watts. •Solar thermal technology makes use of the sun’s heat. •Photovoltaic (PV) technologies convert light from the sun into electricity. •Solar thermal technology can also create electricity by creating steam to power generators. 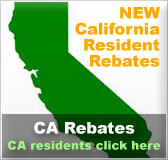 •The use of solar energy does not cause greenhouse gas emissions. •In 1990, a solar powered airplane flew across the U.S.
•During the 15th century, Leonardo da Vinci already had plans for solar concentrators in his notebooks. •In just one hour, the earth receives more energy from the sun than the entire world uses during a whole year. •Solar energy can produce lighting for indoor or outdoor use. It can be used to heat swimming pools, power cars, and small appliances. You can even cook food with solar energy.